The leader of a drugs gang controlling a multi-million pound heroin supply operation centred on Bedfordshire has been jailed. Afraz Saddique, 32, was responsible for buying heroin from importers in London and passing it on to mid-level dealers in Luton, Bedford and Middlesborough. Police estimate the operation made between £2.5m and £3m. Saddique and several other people were arrested in raids in Luton, Bedford and Middlesborough in May and July last year and charged with either conspiracy to supply heroin, or possession with intent to supply. Four of the gang members sentenced at Luton Crown Court on Friday had pleaded guilty, while another three were convicted after a trial in March. Saddique, from Waller Avenue in Luton, pleaded guilty to conspiracy to supply heroin and was sentenced to 11 years in prison. The other four men and two women were given sentences of between three years nine months, and 10 years in jail. 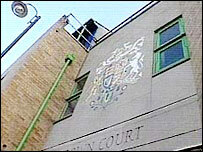 Another two men, who have both pleaded guilty, will be sentenced in two weeks' time.